DESIGNIN’ DECEMBER! – Nice dress! Thanks, I made it!! But then again, I was never a keen clothes shopper. I am always the strange lady who wanders into a clothing store, picks at garments and then says “I could probably make this … maybe for less money, and maybe even better!” If I only had the time to sew it all! Does anyone else out there think the same? Now that the year is finishing up though, I am considering rewarding myself. The month of November is a special month for me, being my Blogversary month (2 fun-filled years – Thank you!) and my Birthday month (never mind the # of years!) – it seems like a good month to reward myself for not clothes shopping. And… My Reward, I have decided, will be a designer outfit. Like many, I take my inspiration for my sewing projects from what I see – certainly other sewing or fashion bloggers, the pattern companies (Big 4 and the Indies), RTW stores, Fashion Designers, the Runway … Even Pretty Grievances gives me ideas with her “Wearable Wednesday” posts, although the most recent one had a lot of see-through clothes! One of Pretty Grievances’ posts that caught my eye was about the designer, Marina Hoermanseder. I want this outfit. Well except for the too short shorts. Not suitable for the office, nor my age, at all. So perhaps I want “longer” shorts … or culottes, instead? So it’s decided. I have a “PLAN”. I’ve shown you my designer outfit by Marina Hoermanseder and in DESIGNIN’ DECEMBER I will show you MY COPY of this designer outfit. Have you ever wanted designer clothing? 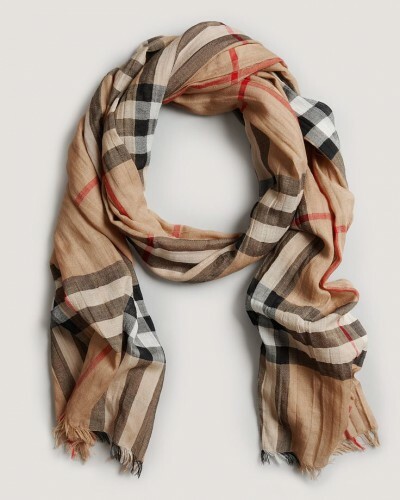 Perhaps a designer scarf, like this? or how about an original Stella McCartney? As you can see, I have collected a few inspirations here and much more on my Pinterest board, DESIGNER FASHION! So why buy when you can make it yourself? 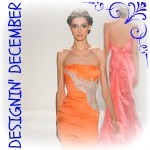 If you want a designer garment too, join the DESIGNIN’ DECEMBER Challenge! Grab a DESIGNIN’ DECEMBER button. The code on my side bar can be copied and pasted into a Text Widget on WordPress. It also works on other blogging platforms too. Leave a comment here on my blog and I’ll post your Designer Photo and YOUR COPY on my blog, with a link back to you. Send your email address to me at imadeit362436 (at) gmail (dot) com and I’ll send you an invite to join the “DESIGNIN’ DECEMBER” Pinterest board so you can add your Designer Photo and YOUR COPY to the board. Post your Designer Photo and YOUR COPY on Twitter or Instagram, using the hashtag #DESIGNINDECEMBER. Don’t forget to “grab” a DESIGNIN’ DECEMBER button! 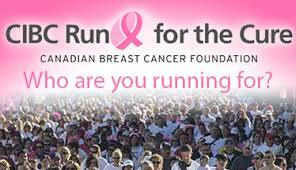 It was a beautiful Sunday today, we did the CIBC Run for the Cure! Thank you! Yes, I know that some garments might be quick and easy and some quite complicated and take time so this couple of months lead time is a good idea. And yes I am willing to run with this during all of December… I always want everything now! But the last month of the year will be a great time to have a DESIGNIN’ DECEMBER party! I’m notorious for the ‘I could make this’ response in clothes shops. I like your plan, I’d vote for culottes with the jacket, a different twist on a classic look. Thank you! I’m looking forward to seeing your designer photo and YOUR COPY when December arrives! Sorry my project is running straight thru until (probably) December, but wish you the very best with your Designin December – your ideas for that outfit look grand! Best wishes!! Thank you! 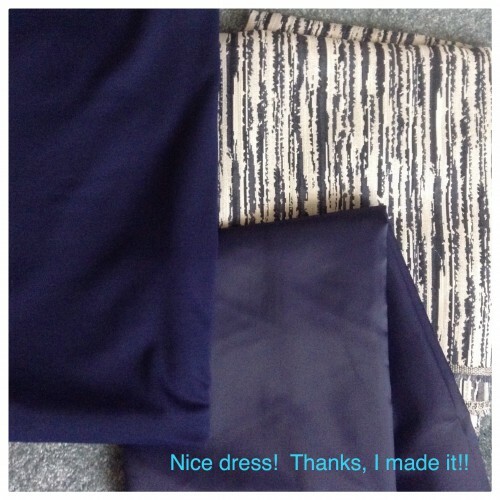 Good luck and Happy Sewing with your project too! Looking forward to seeing it! It’s one of my daughter’s abiding memories of clothes shopping that I would make that sort of comment sometime through the day. I think we probably all do once we have learned to see. I love your Designin’ December idea. I will give it some thought and get back to you! Yes, it was always just one more way for my daughter to get embarrassed! There is lots of time to think about it. I know some people might have too much on their plate already! I never usually work in this way for myself, but think I’ll give a try, If I can find an image!!! 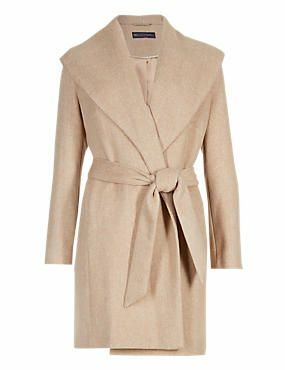 I actually saw a refashion-er recently who took a baggy lightweight blazer and turned it into a “designer” dress, so it is possible! Darn it, I wish I could remember her name!!😳. Looking forward to seeing what you decide to do! Fabulous idea – I have had an unintentional RTW fast and I also find it hard to buy things when know I can make my own. I would love to join in if I can find the right project! Looking forward to seeing your’s! With me, this designer outfit just caught my eye, I had to have it! But I am sure others might say “I need a new top” and Google “designer tops” and come up with something they like to make. Yep, I’m one of those “strange ladies” too, who feel fabric, look at seams and turn garments inside-out to look at labels. I try not to mutter while I’m doing this (I don’t have a daughter to go shopping with, who I could make embarrassed with comments), but it’s tempting to make judgements about the clothing in stores. Great idea about Designin December. I think your outfit will look super. 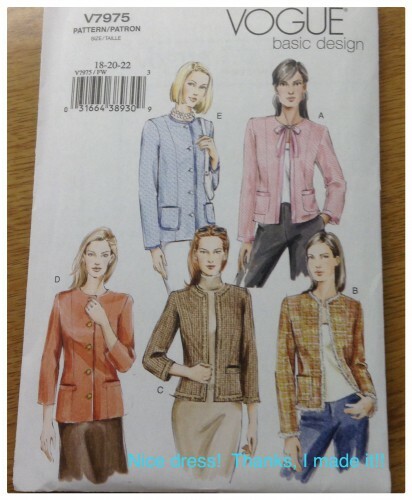 I have a Ralph Rucci pattern in my stash which I would love to make. But I’m seriously over-stretched on the making front, so I’m not sure if I will get time to do this before the end of December. I wish I was either a faster sewer or I didn’t have to go to work! I pressed “reply” too fast! 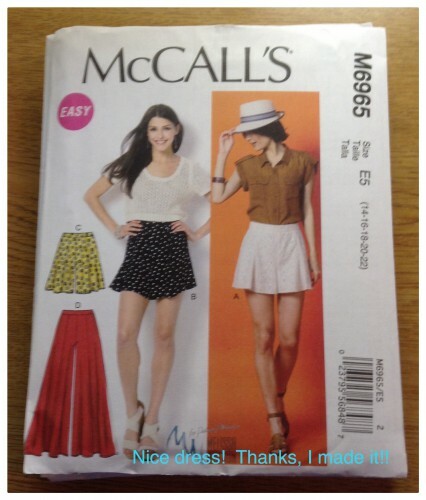 I was also going to say how much I love that well known designers add their designs to sewing patterns! That’s great! We don’t want any stress involved here! Culottes are obviously ‘a thing’ at the moment. I’m going to mull this one over and have a think and get back to you! Thank you! I’ve never tried culottes myself. Can’t be much different than pants or a skirt, right? 😳. I’ll be watching for your’s and if you find something, join in! Oh, that is a big challenge you’ve issued. (Your fabric and pattern selections are marvelous, btw) I will give it some thought….so far my one attempt to do this sort of thing has not come together very well. curses. Checked out your pinterest board, nice stuff there! I would love to join in on your Designin’ December but my “seamstress” is really busy right now. I feel I should let her finish up some of her own projects before I come up with another “designer copy” for her to work on. I will keep coming back here to have a look at all the projects that are under construction. All you seamstresses do such beautiful work, I am usually beside myself. That sounds like a great way to celebrate such a special month! I love the look of the ensemble you’re planning to make and I can’t wait to see you pull it all together. If I weren’t in the middle of trying to catch up on my own sewing project, I’d join in. Instead, I’ll happily watch and see what other people make. Thank you! I’m looking forward to my new designer outfit. Now if I could only remember her last name, so I could say “It’s a Marina H….” Great, now I can’t even remember if that’s her first name! I NEVER say things that embarrass my kids (did you hear that…? they just groaned.) All kidding aside, good on you, what a great idea. Can’t wait to see your designer outfit when it’s finished. LOL! It is fun tormenting them, isn’t it! Thanks for your compliments! What a great idea – – to copy a designer outfit. This is right up my alley and I love your project and will have to give a bit of thought to the possibility of a project of my own! December seems like a great time to do this, as it’s the only month all year I actually have a few events to attend that require a ‘special’ outfit. But it’s also the busiest month for me as I sing in a professional choir with lots of holiday gigs, so my participation is a ‘maybe’ right now. Regardless, I will so look forward to seeing everyone’s makes, especially yours. I also loved that designer when I first learned of them on Pretty Grievances. Great choice of fabric and patterns! Thank you! I think I have seen a post of your’s where you did this! Keep us in mind. I wanted to give everyone an early start, including myself! One of my patterns is actually marked “easy” so that should help! Just because a designer did it, doesn’t mean that it has to be difficult! So true! It doesn’t have to be hard at all – -just fun! I’ll give it some thought…. Great idea and a wonderful excuse to go surfing designer websites and make new clothes. I intend to join in and let’s hope nothing gets in the way. Thank you for hosting. Thank you for joining in! 😀 I’m looking forward to seeing YOUR COPY! Wonderful idea! Sadly, I am away for the whole of December or I would definitely do this. I look forward to everyone’s contributions! We will- I have to start sewing! I am in love with your inspiration!!! I am excited to see your take on it, your ideas are fantastic. My god friend told me that sewing would change, how I shop. She said you just wait and see. She was right. 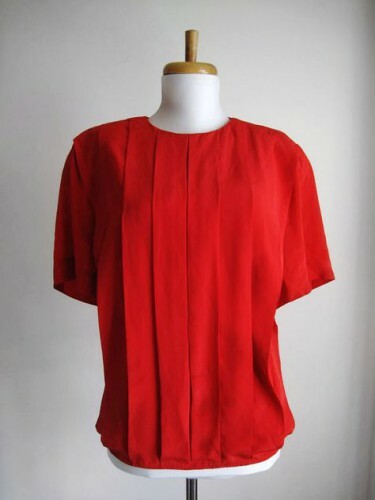 Like you I pick at the garment…and say oh I can make this in a better quality fabric for less in the color I want etc. So I can totally relate. Happy sewing and I look forward to your big reveal!! It does make a difference when you can see how it’s put together, doesn’t it! 😄👍. A good difference! Well I certainly appreciate your earnest-ness! I’ll be looking forward to seeing YOUR COPY whether you make the December 31 posting deadline or not! Have fun! A hotel, hmm… Best wishes to you on that then! 😀 There’s always a next time! Thank you! You are a fine sewist so I am looking forward to seeing what you come up with – original and your copy! This one is my one and only baby! I am happy to host it. It’s just how I think about sewing, whether you make a copy of a Pashmina scarf or a Chanel suit, make something special for yourself, with care and quality, something you can be proud of!